One South Yorkshire fabricator has not only been using Liniar since the business was established in 2011, but its MD proudly boasts that he was the first man to ever cut a length of the innovative uPVC profile! Based just outside Doncaster, uPVC Trade Centre Ltd has been manufacturing and installing windows in the county for more than six years and has a whole host of satisfied customers from all over the region. “Before setting up my own company, I was working for another fabricator and Howard Hirst, Liniar’s Sales Director, brought along a piece of profile for us to have a look at. “This was before Liniar had been launched to market and I believe that I’m the first person to have actually cut a piece of the new profile. We were very impressed with the design and the clever features – the multiple chambers and the reduction of steel requirement particular. “So when I launched uPVC Trade Centre a few years later, there was no question about which system I was going to use. “Right from the start we’ve only manufactured and worked with the very best products and that’s why we use Liniar profile; it’s a very modern and clean looking profile that makes a fantastic window. “Not only is the profile easy to work with, Liniar is an excellent company to deal with. 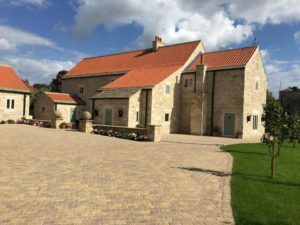 “We believe we offer the highest quality product range, including windows, doors, bi-folds, French and patio doors, conservatories and orangeries, in a wide range of styles and colours to suit. It’s that commitment to quality that has led to uPVC Trade gaining Liniar Approved Fabricator status and amassing a portfolio of impressive projects – one of which proved a particular challenge. 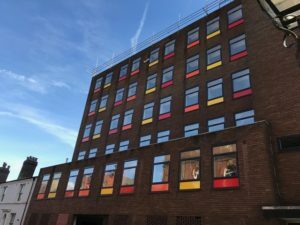 “We recently won a contract to provide and install the windows for the conversion of a commercial building into housing. 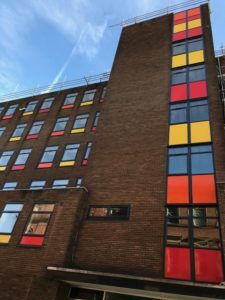 “The developers had specified anthracite grey on white windows, manufactured with Liniar’s EnergyPlus profile, which were top hung with toughened glass. Pressed and vinyl coloured panels were also used for a contemporary finish. 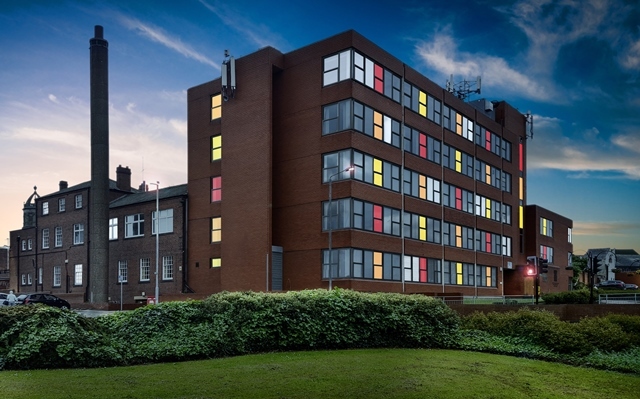 “The property in question was the former job centre in Pontefract town centre and the busy location meant that we couldn’t use scaffolding to fit the windows – not ideal on a five storey building! 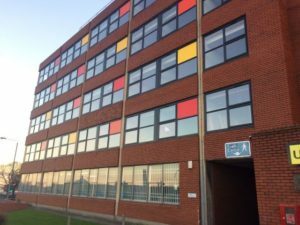 “Although the windows were fitted internally, our installers still had to hang out of the apertures on harnesses to complete the job to our usual high standards. 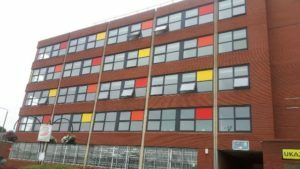 177 windows later and the developers were delighted with the finished project. Stephen may have been the first man to cut a length of Liniar profile, but with the considerable success he’s enjoying he won’t be cutting his last for a very long time to come. Click here for more information on uPVC Trade Centre Ltd or call 01709 864754. To read more about Liniar EnergyPlus click here.